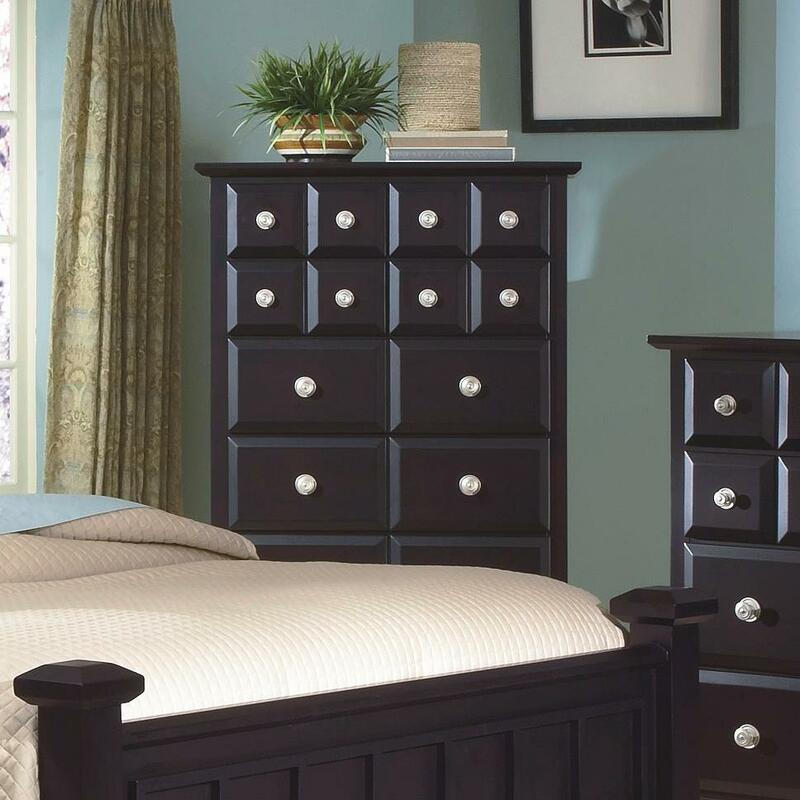 Create a bold contemporary statement in your bedroom's decor with this chest. 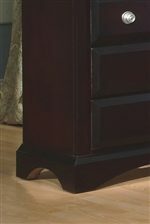 With its raised drawer fronts, gleaming hardware pulls, and curved base, this chest creates a stylish atmosphere. Offering numerous drawers, this chest also solves your storage and wardrobe needs. Display decorative accent accessories on its spacious top surface to truly make this storage chest your own. The Arbor Drawer Chest by New Classic at Miskelly Furniture in the Jackson, Pearl, Madison, Ridgeland, Flowood Mississippi area. Product availability may vary. Contact us for the most current availability on this product. 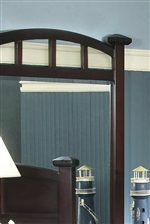 Finish A rich Espresso finish graces all pieced for a unifying and warm appeal. Case Detail Defined edges and sleek lines of tapered feet and round bases create a contemporary and modern look. 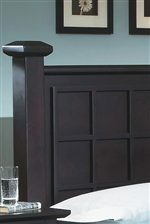 Drawer Suspension Euro side mounted drawer glides provided for easy mobility and use. Description: Top Tops feature birch veneers finished in an Espresso finish. Case Construction Crafted of birch solids and birch veneers for durability and to last for generations. 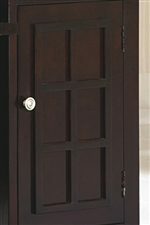 Arbor offers a wide variety of furniture crafted of birch and birch veneers and finished in a rich Espresso for your master bedroom or youth bedroom. The casual contemporary style of this collection is seen with defined lines, gleaming hardware pulls, curved bases, and tapered feet for a bold statement in your home. Charming lattice designs are seen throughout on mirrors, beds, and doors while raised drawer fronts and panels create visual interest and add design value to your home's decor. Offering storage in the form of drawers, doors, and shelves, Arbor can easily solve your bedroom and child's bedroom needs. Furnish your home with Arbor and experience a casual, inviting and contemporary atmosphere in your home. The Arbor collection is a great option if you are looking for Contemporary furniture in the Jackson, Pearl, Madison, Ridgeland, Flowood Mississippi area.